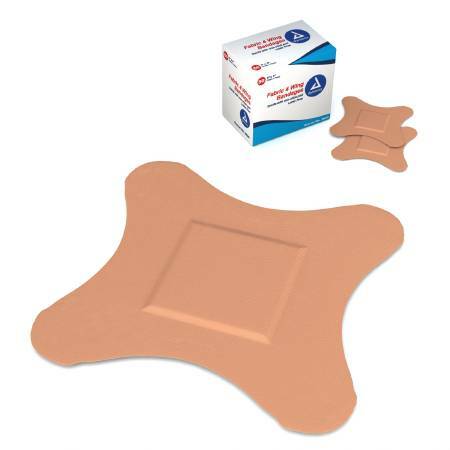 Sterile, tan colored, 4-winged, 3" x 3" bandage made from flexible adhesive fabric stretches and conforms to body contours for effective and comfortable protection. Non-stick pad is highly absorbent and helps to cushion wound. Latex Free. Comes 50 per box.